After 2 days at Disneyland, the adults needed a little break from, as Sandy said "The Mouse". 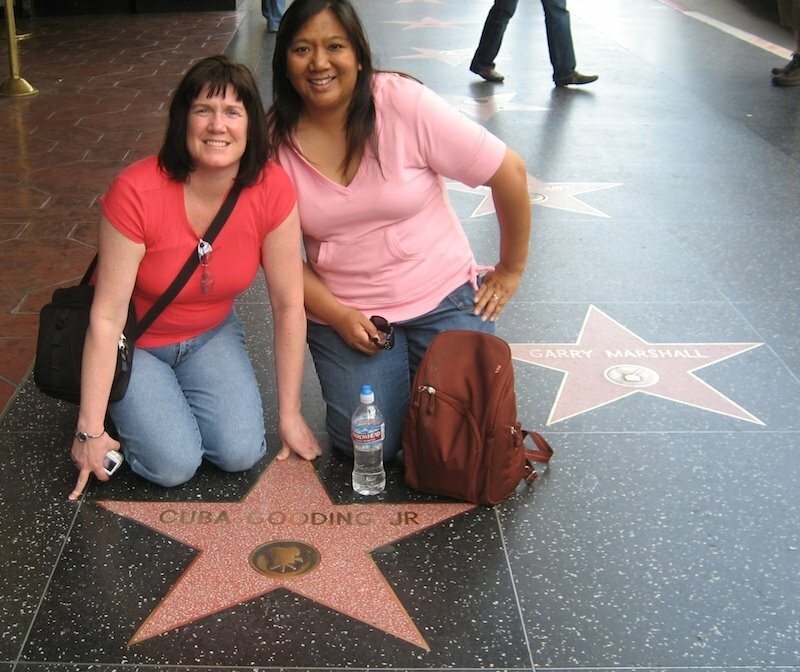 Since Sandy, "J" and "S" had never explored Los Angeles before, we decided to do the quick Los-Angeles-in-6-hours tour. 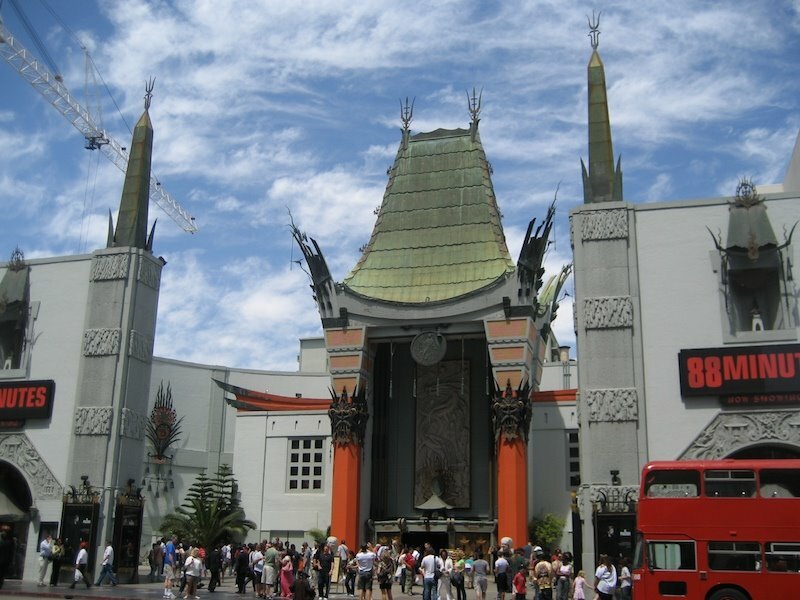 Our first stop was Grauman's Chinese Theatre and Hollywood Boulevard. This was the 1st time I'd been here even though I worked less than 2 miles from here when Jimmy and I lived in Southern California. It's just one of those places that you never visit if you live there. So, here's a little tip if you happen to visit: If you plan on taking photos with any characters in front of the theater, be prepared to hand over your cash. It's not like Disneyland where you can take a photo with them and move along...these characters expect the cashola. The funny thing was that I thought they were a team, right? 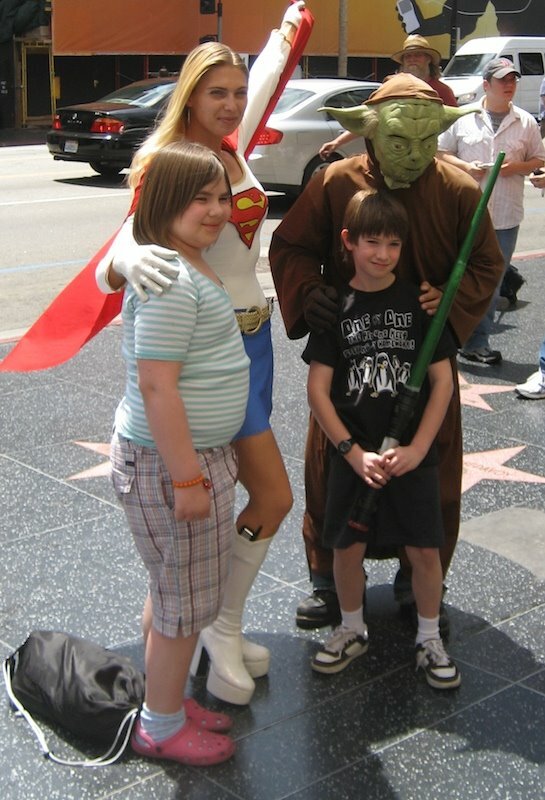 So I gave "them" a dollar, but by "them" I mean Supergirl, because Yoda said to me "But what about Yoda? Yoda needs something too." 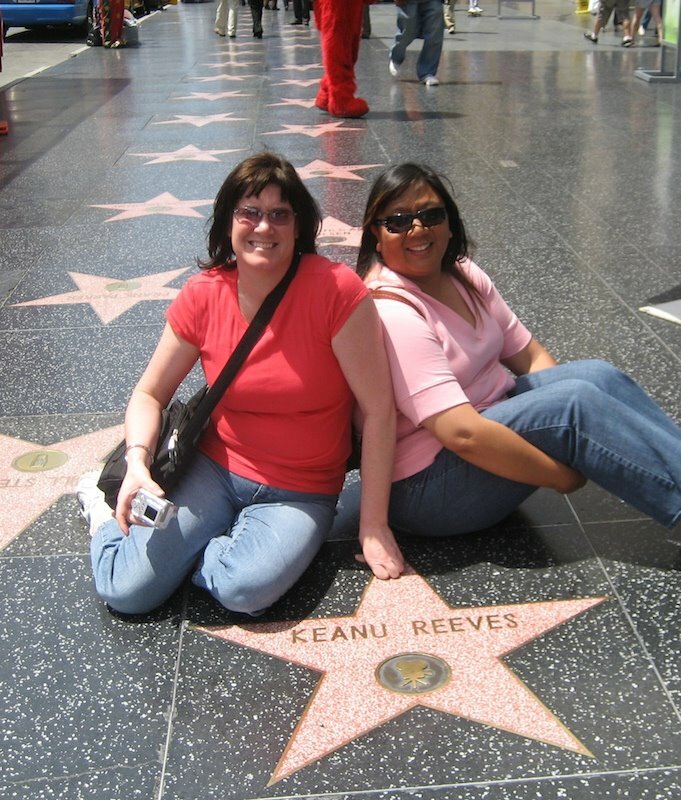 Yep, that's Keanu Reeve's star. 'Nuf said. Cuba Gooding was one of our classmates. So we had to take a photo w/ his star as a sort of class reunion, seeing as that was sort of a theme for the week. Too bad Loretta wasn't with us. Or Jimmy. We also went to Rodeo Drive to do a bit of window shopping. 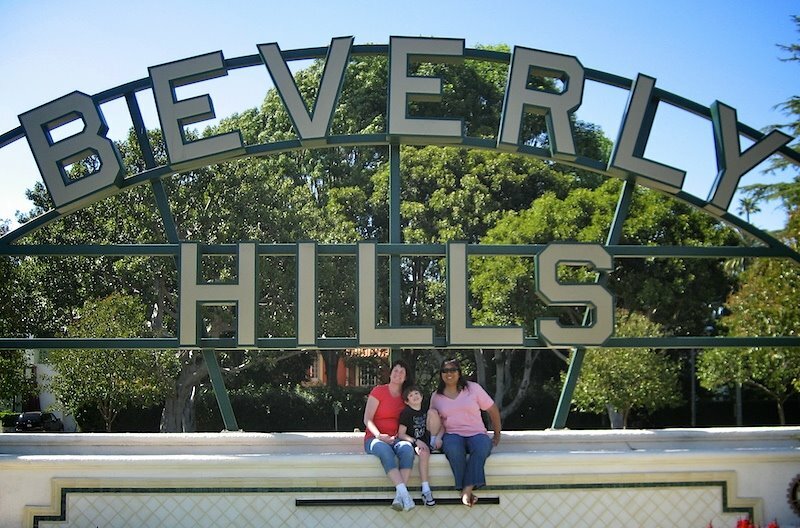 So I have a paparazzi story for you: We were driving down Rodeo Drive trying to find parking. Next to us was a Land Rover with the back hatch open and a couple of guys with big cameras hanging out. Traffic moved forward and so did I. But the Land Rover stayed put, and so did the Bentley behind me. Neither one would budge till eventually the Land Rover had to move because of all the honking cars behind it. Minutes earlier we were just joking about paparazzi and there they were. But we have no idea who was in that Bentley behind us. 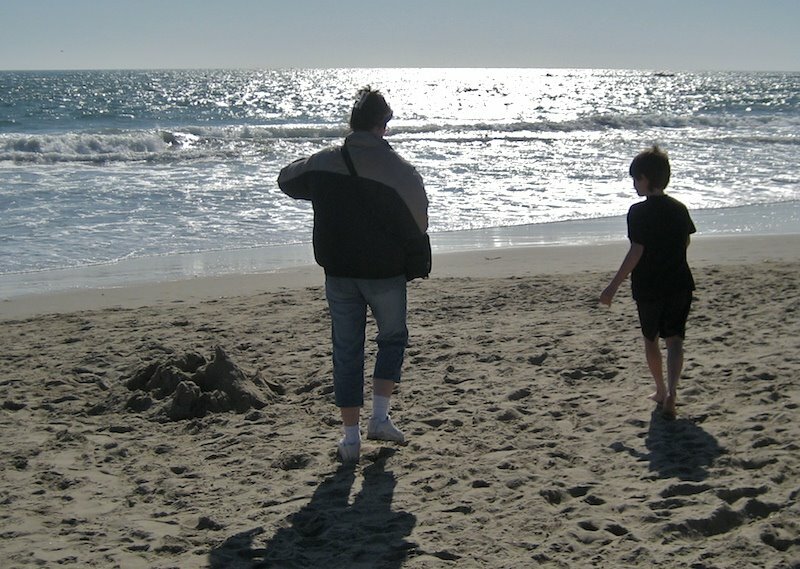 We did, however, see Dee Snyder of Twisted Sister on Melrose Ave.
A visit to California wouldn't be complete without a trip to the beach, especially for Alaskans who still had snow on the ground. So we went to Santa Monica Pier to dip toes into the water and have dinner on the pier. 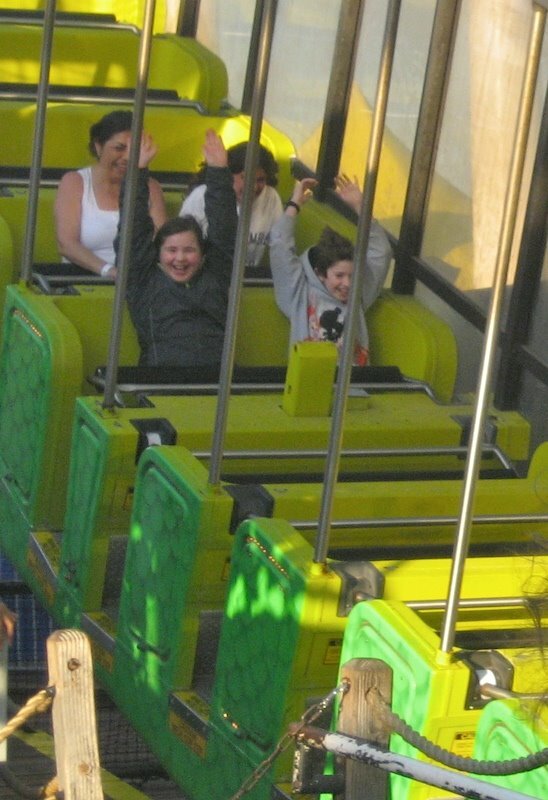 The kids even got to ride on a few rides before the end the day. On the way back to the hotel, I accidentally drove through South Central LA. It literally looked like a scene from Boyz in the Hood. Which by the way, starred Cuba Gooding, Jr. So I gave my visiting friends both sides of Extreme Los Angeles. Rodeo Drive vs. South Central. Well i have to say that you gave them a great tour and me too, I love it about paying, who would of thought. Ahhhhh. Southern California wouldn't be the same without Los Angeles! When guests came to visit us in Pasadena, we always took them to Knott's Berry Farm and/or Disneyland...and if they were lucky, to Universal Studios. 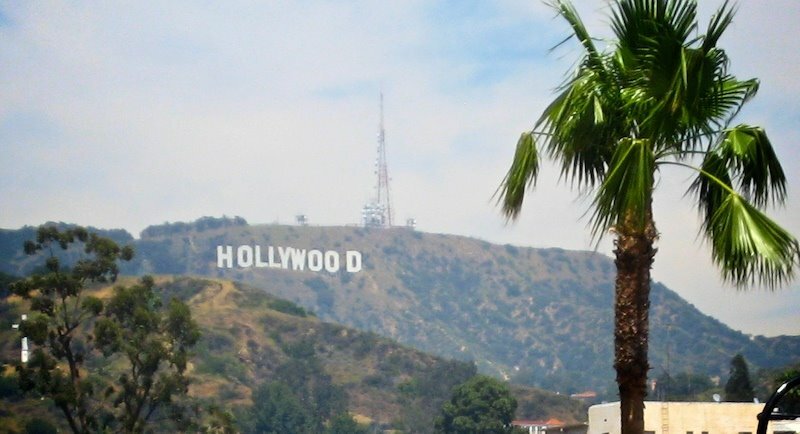 Doesn't get more Hollywood than that! You are the hostess with the mostest. . . and Keanu, too funny given your propensity toward Bill & Ted.